Around this time of year with the dry air and cold weather, it can have negative effects on our skin. We may not be able to control the chilly climate but we can keep our skin looking fresh and healthy while the temperature drops. 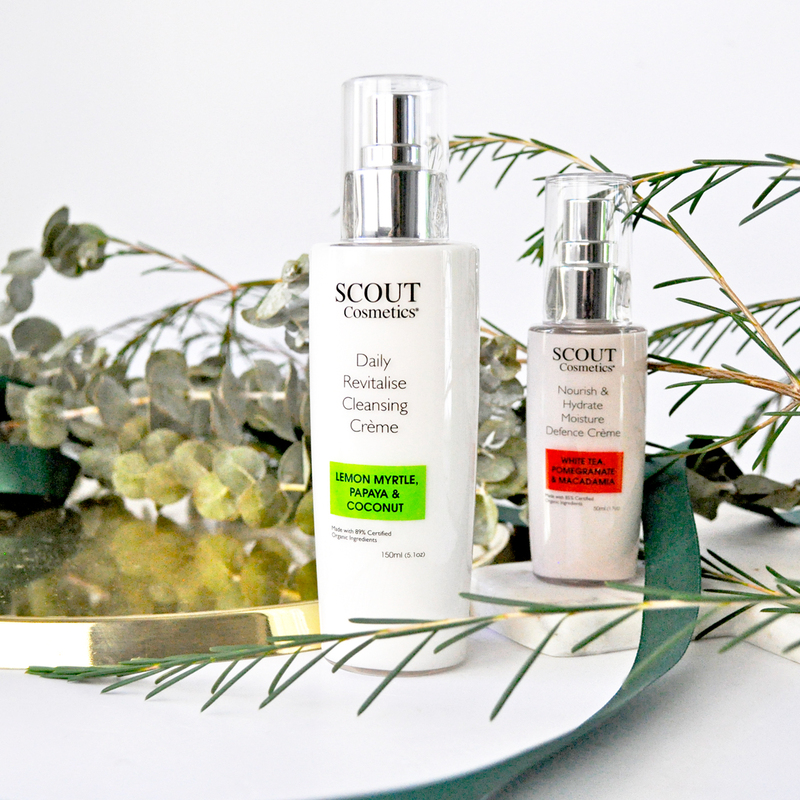 Scout Cosmetics Skincare contains a range of unique superfoods to nurture, refine and protect the skin. Their new generation of active organic beauty takes care of all my skincare concerns. Step one in my daily beauty routine, I have been rubbing the velvety Daily Revitalise Cleansing Crème with Lemon Myrtle, Papaya and Coconut into my skin morning and evening every day. The natural, organic ingredients of papaya and coconut hydrate the face without stripping it of its natural oils while the lemon myrtle has antibacterial properties for a deeper cleanse. It works to swiftly remove dirt, oil and makeup while comforting and protecting my skin. I find this product very gentle and soothing and it gets the job done! 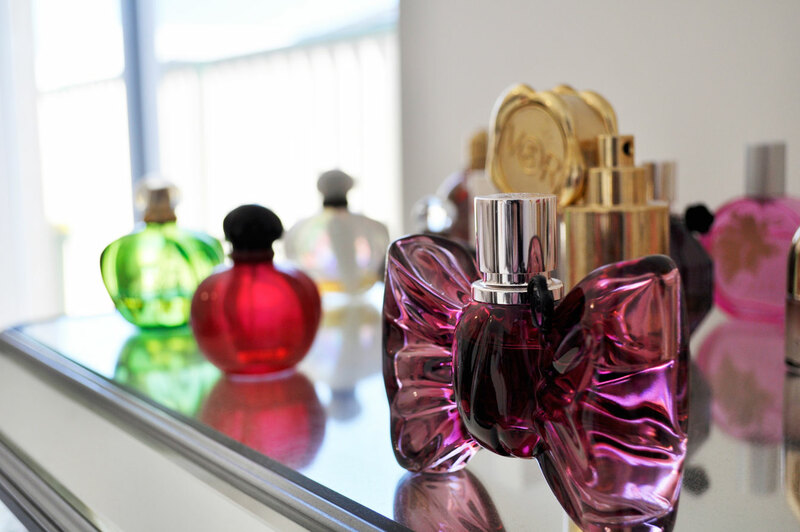 (Ideal for sensitive skin types). After cleansing, I like to up my hydration game and treat my skin with the Nourish & Hydrate Moisture Defence Crème with White Tea, Pomegranate and Macadamia. 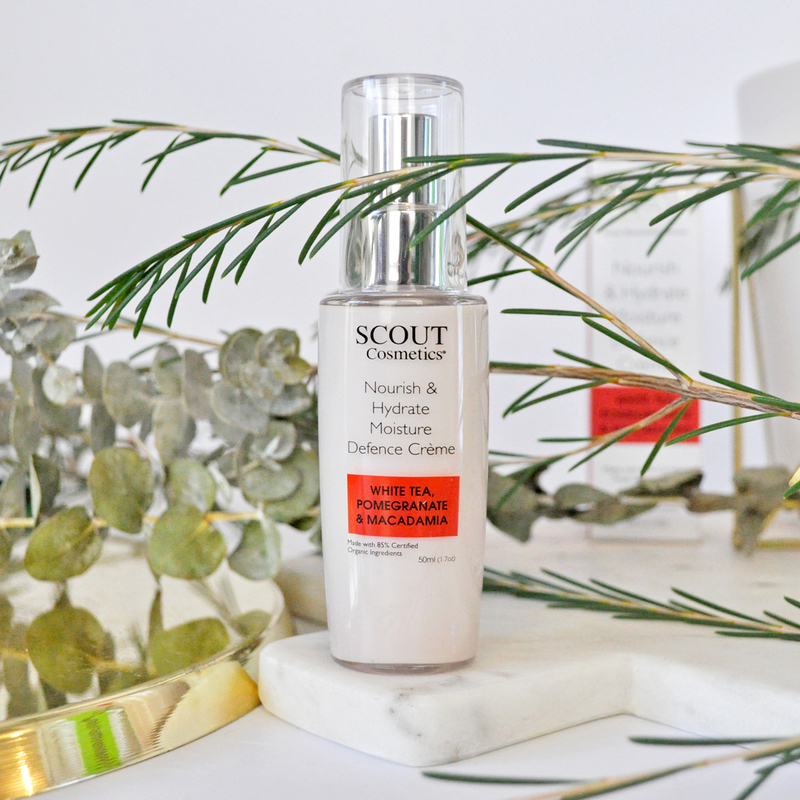 This calming and nourishing anti-aging moisturiser keeps my skin looking plump and protected from within. The white tea and pomegranate ingredients are rich in antioxidants and Vitamin A, B & C which is perfect for the winter months to aid your body in fighting harmful bacteria. This cream works wonders for repairing dry patches and keeping my skin fresh, glowing, and fully hydrated. Top Tips: Gently massage your moisturiser in circular motions onto your skin, including the neck area to stimulate collagen production. Don’t forget to drink plenty of water to help keep your skin healthy and looking younger! 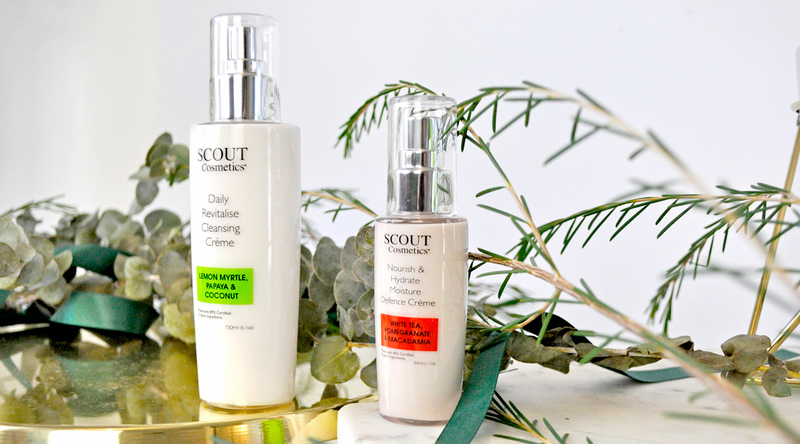 Price: Daily Revitalise Cleansing Crème with Lemon Myrtle, Papaya and Coconut | 150ml | $34.95 AUD – Nourish & Hydrate Moisture Defence Crème with White Tea, Pomegranate and Macadamia | 50ml | $39.95 AUD – Scout Cosmetics is available at over 300 retail destinations across Australia including Go Vita stores as well as selected pharmacies, independent health food stores, and boutiques. Click here to visit their website. What are some of your favorite organic skincare products that you use on the daily? Let me know in the comments below! I am definitely checking that cleanser out, it sounds incredible! Thanks Ebony, I hope you love it as much as I do. Me too 🙂 Their skincare products are so gentle yet effective! WOW looks like a great skincare to try out. I have used Scout before and have been impressed.